This will be a simple post targeted at new house chef. 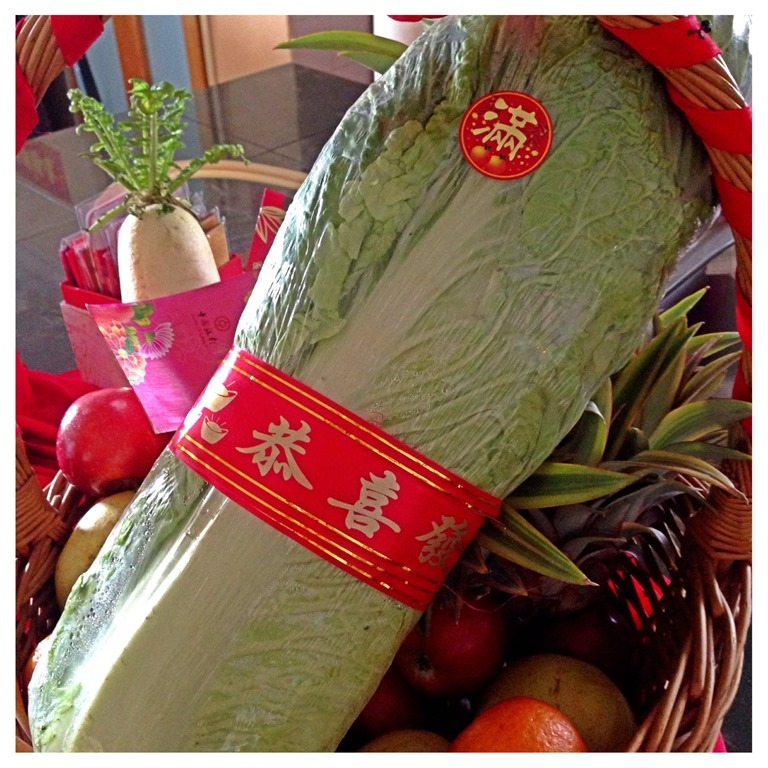 It is a post that was queued in my pipeline for at least 2 months since Chinese New Year. 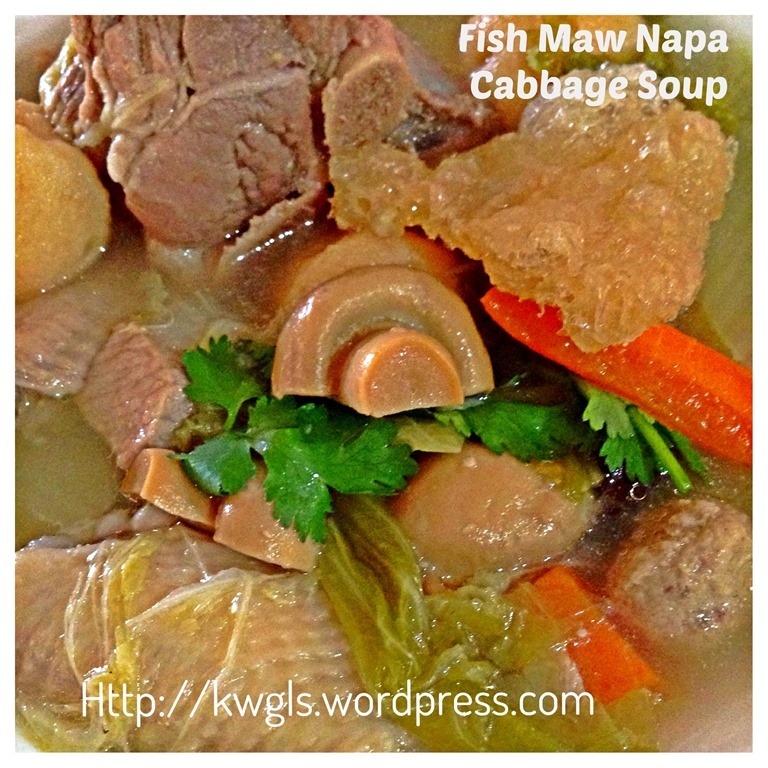 Napa cabbage soup can be a presentable soup to entertain your house guest or a soup to go with your daily meals and that very much depends on the type of side ingredients to prepare the soup. 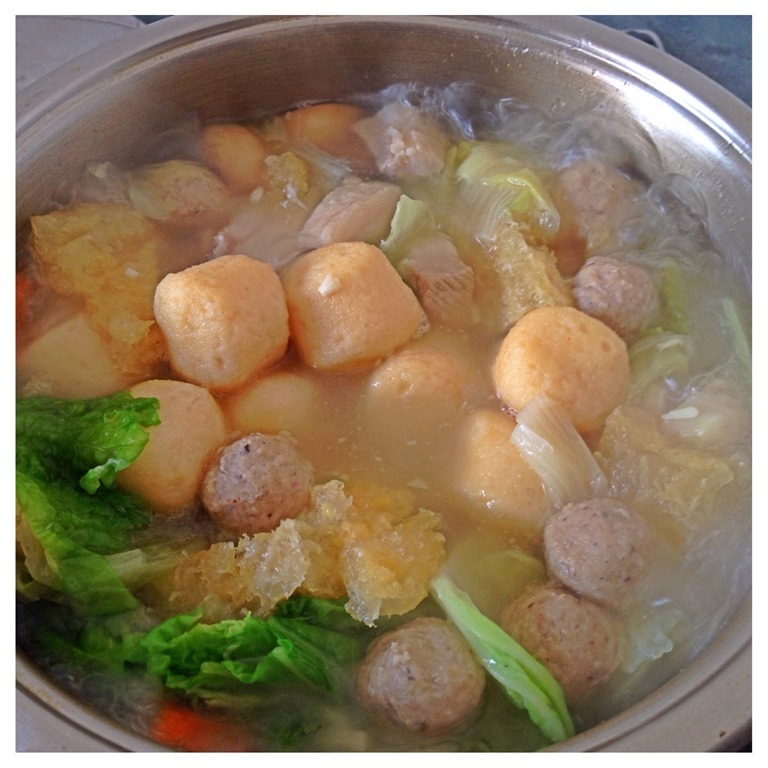 The ingredients used are with full flexibility and its preparation usually include long hours of meat and seafood items in order to get the seafood and meat broth for the vegetable dish. I love the dish so are my kids. 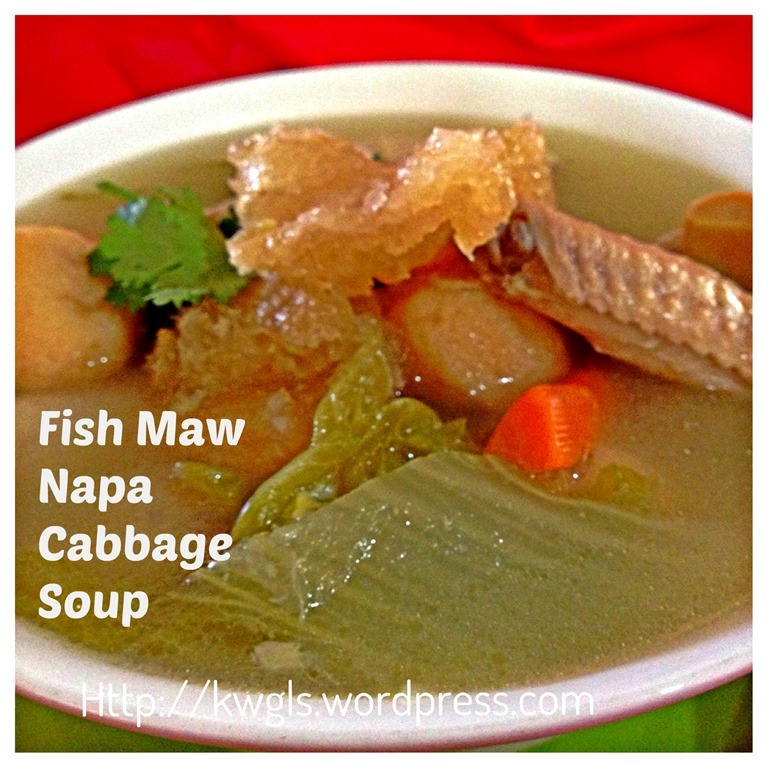 We are especially fond of the fish maw cabbage soup prepared by my wife’s god mother. She is in her 8o’s and she cooked this dish in most major festivals. Her grand children are looking forward to her cooking of the soup. There is no fixed and fast rule of the ingredients used in her preparation. 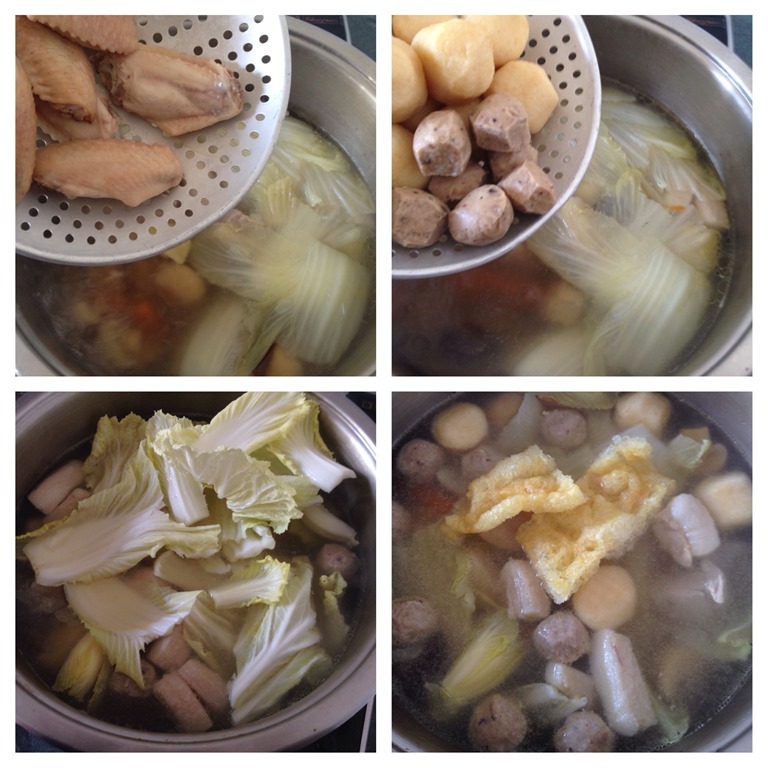 She prepared the soup based on what she can buy in the market.. Therefore, the soup dish is full of flexibilities. 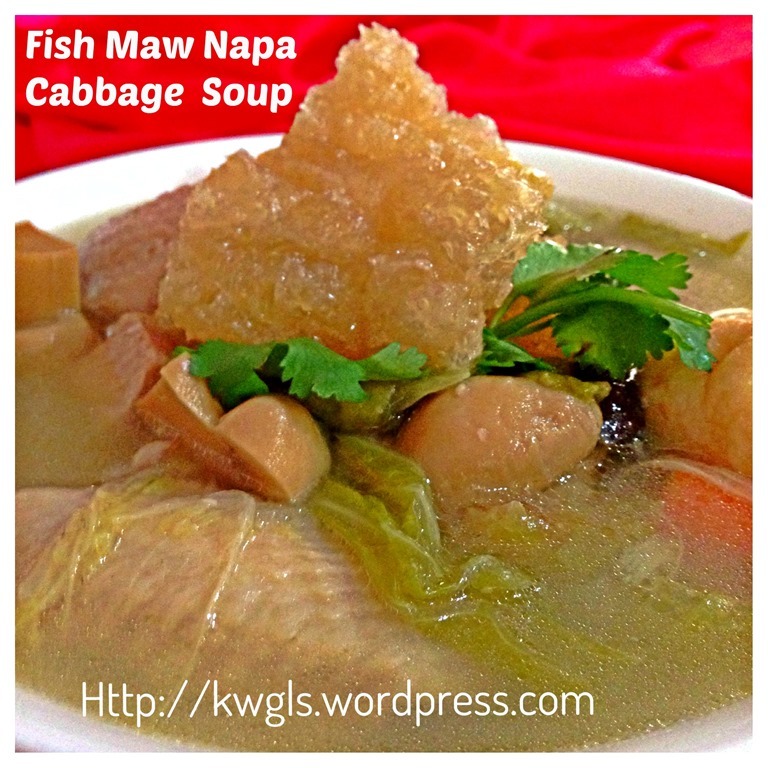 One of the main ingredients in this dish is fish maw. 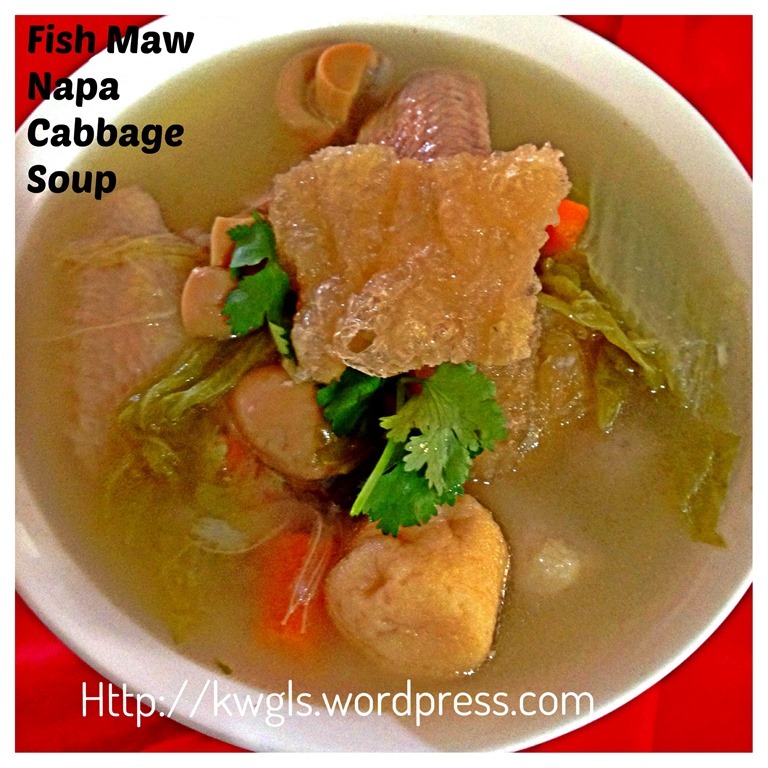 Chinese used fish maws in their cooking rather extensively. It is a costly ingredient and a presentable gift to friends or relatives during important festivals. 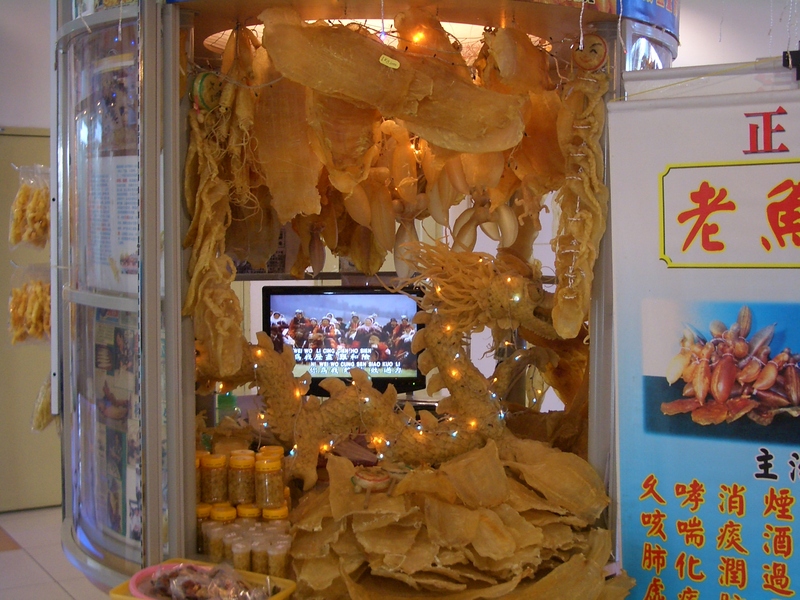 In essence, fish maw is the gas bladder of a fish that enable the fish to swim in the water. As this is a savoury dish, no detail quantity will be listed. Feel free to adjust the quantity and types of the ingredients to suit your taste buds. 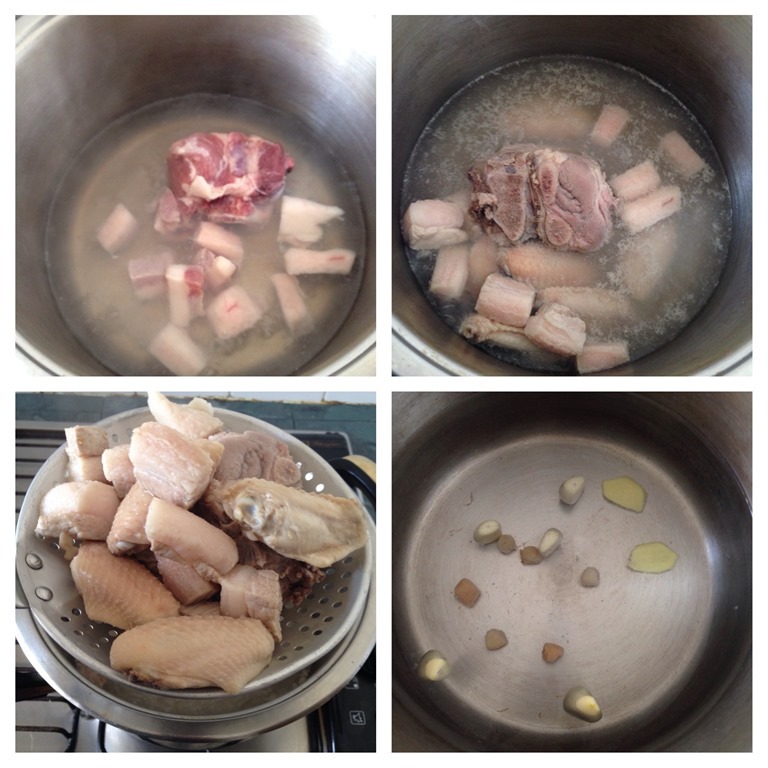 Blanch the pork ribs, lean meat and chicken wings in hot boiling water for 2-3 minutes. The main purpose of this step is to clean off any impurities in the meat item before any actual boiling of meat items. It is consider as done when the colour of the meat have turned to beige in colour. Throw away the water. 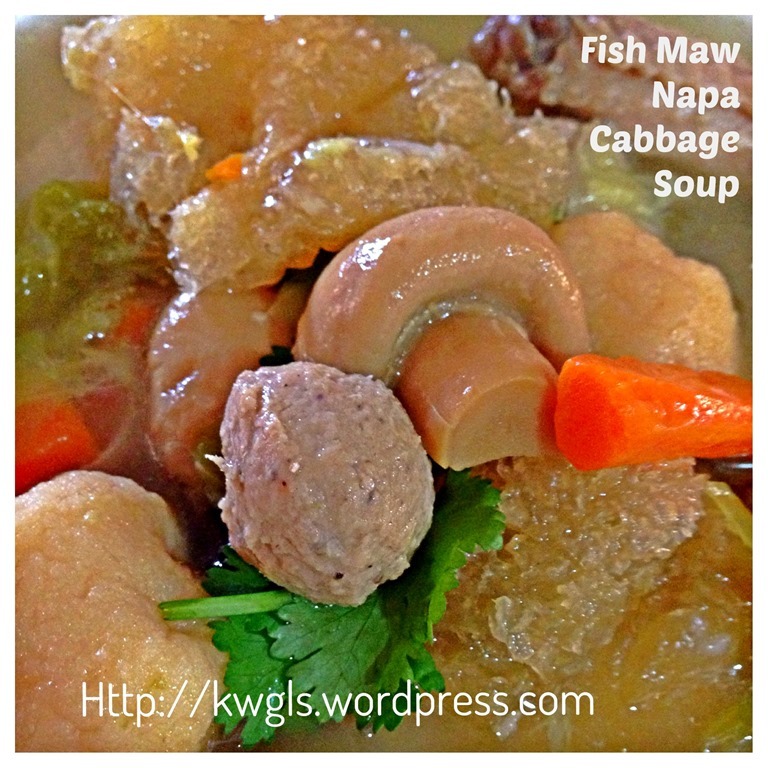 Fill the pot with some water, put in the follow ingredients (pork ribs, lean meat, garlics, ginger, winter mushrooms, carrots, dried scallops, canned mushrooms and some white stems of the napa cabbage.) 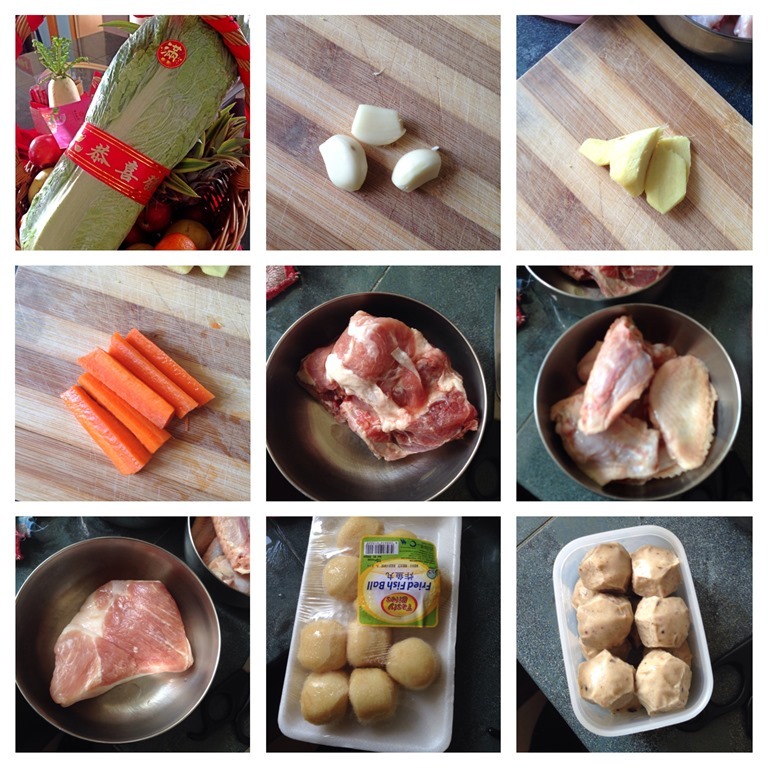 These are the ingredients that can withstand long hours of boiling and those ingredients that can be cooked easily such as ( chicken wings, fish balls, meat balls and the leafy part of napa cabbage will only be added at the later stage). Bring to boil under high heat. Once boil, lower the heat to medium and boil for at least 25-30 minutes until the meat is soft and the broth start to turn a bit cloudy. 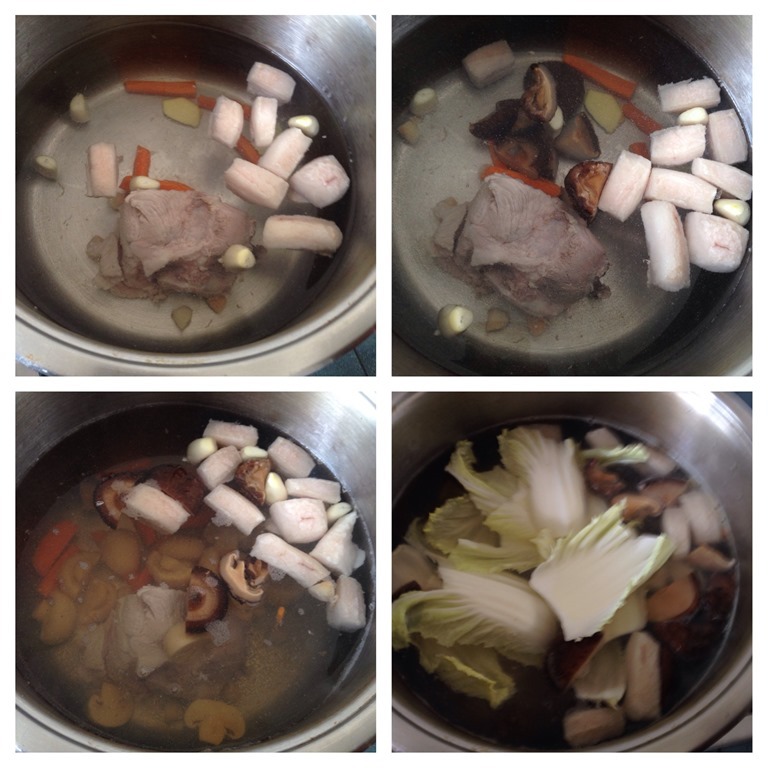 The result of the boiling will be a mixture of meat and vegetable broth. Note that before adding the fish maw, you may want to blanch the fish maw with some hot water to clean off some of the oils in the fish maw. 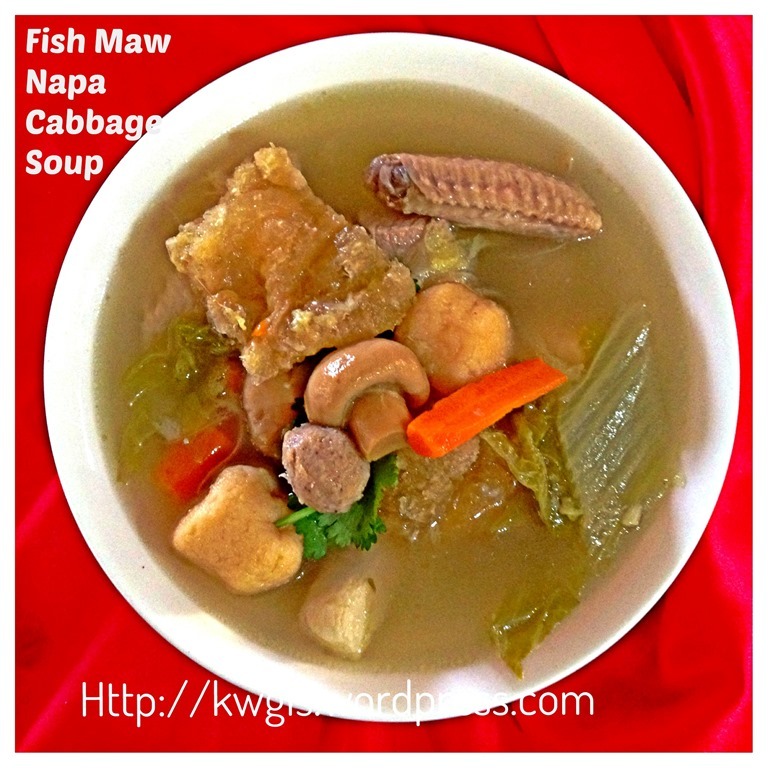 Some fish maw may took longer to cook than the others but usually, as a general guideline, fish maw shall only be added towards the end of the cooking process. 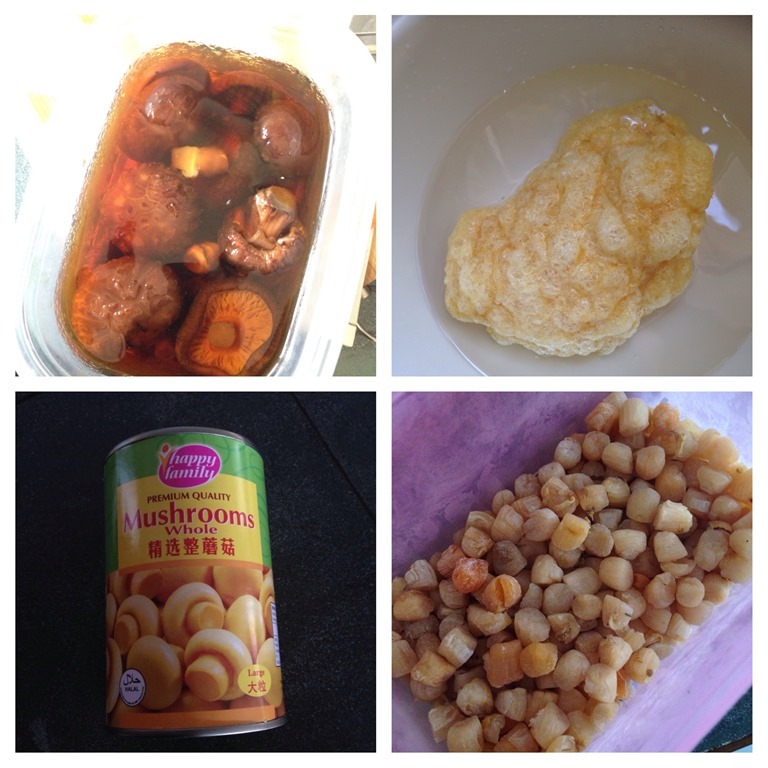 Best served hot as a soup dish in a standard Chinese household meal. 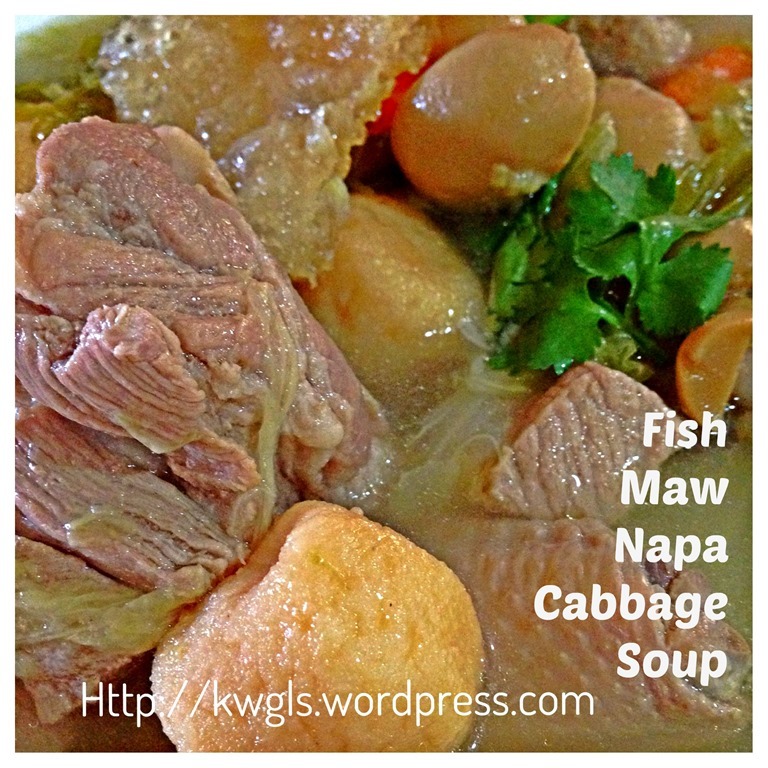 A common household soup and I like to prepare this to entertain my guest.. 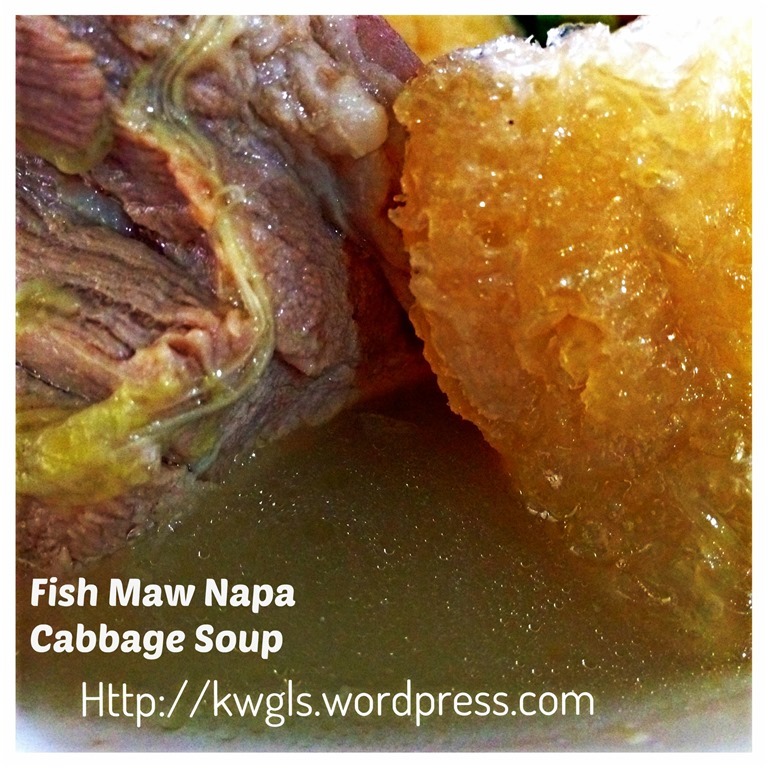 Adding fish maws is generally a good choice. 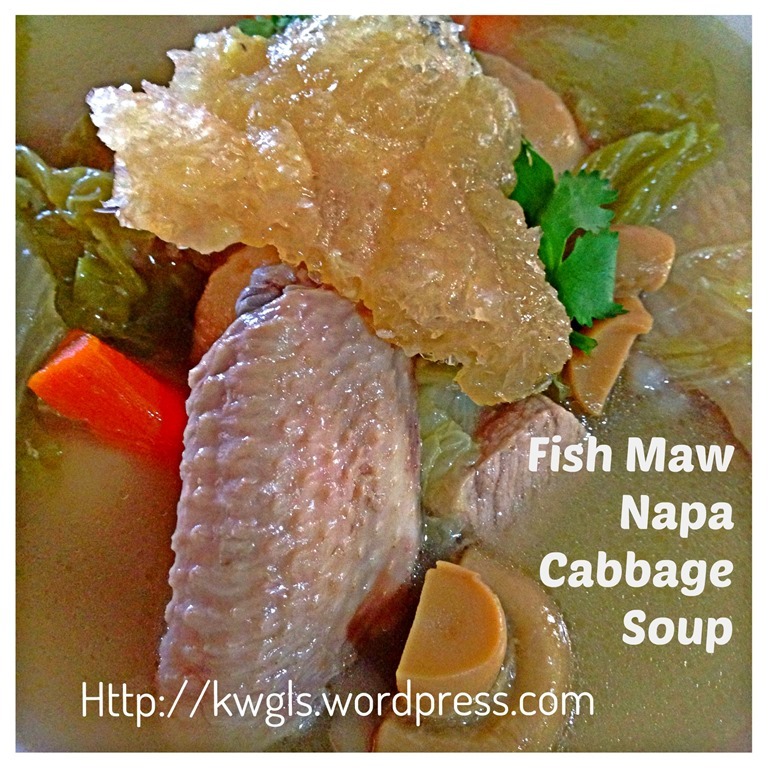 Of course you can add in baby abalone to make it even more presentable. New house chefs, if you never try this soup, do try. For experience house chefs, I am sure you can concur with me the flexibility of this soup dish. Do let me know if this soup dish cooked by me looks appetising to your taste buds. 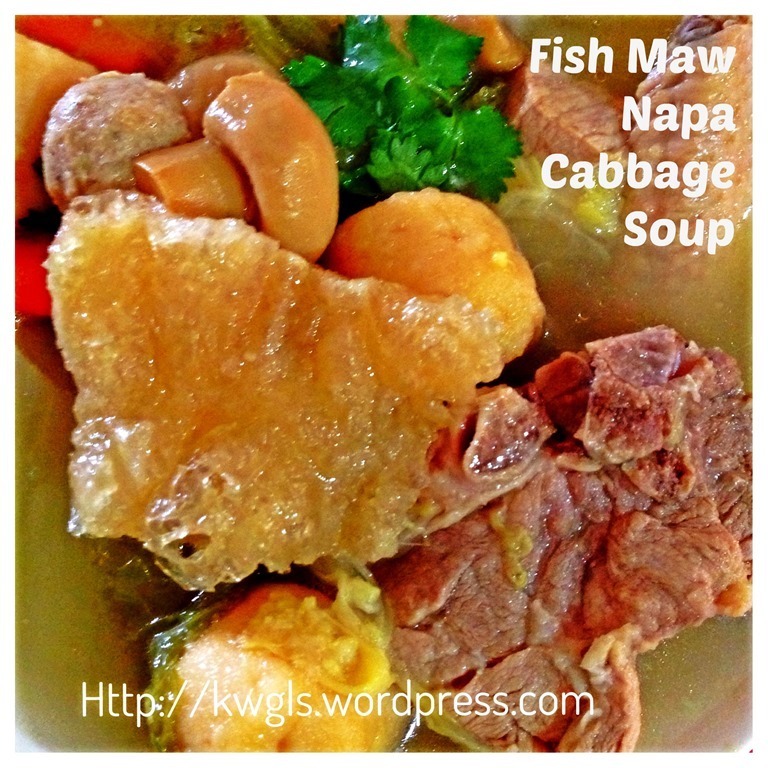 This entry was posted in Food Preparation Series, Soup and tagged 8, fish maw napa vegetable soup, Fish maw soup, GUAI SHU SHU, Guaishushu, kenneth goh, napa vegetable, postaday. Bookmark the permalink.